Expect an unforgettable evening of music, ceremony, theatre and dance with reserved seats for the Royal Edinburgh Military Tattoo on July 27 – August 12 departures. Relax and enjoy dinner on board a ferry as you cruise to the Orkney islands. Inverewe Garden is a botanical garden in the Scottish Highlands. It is located just to the north of Poolewe in Wester Ross, and is noted for the breadth of its collection. This large, deep, freshwater loch in the Scottish Highlands is approximately 23 miles long and forms part of the Caledonian Canal. It is the second largest Scottish loch by surface area at 21.8 square miles after Loch Lomond, but due to its great depth, it is the largest by volume. Loch Ness is best known for the alleged sightings of the legendary Loch Ness Monster, also known as “Nessie”. The Ring of Brodgar is a Neolithic henge and stone circle about 6 miles north-east of Stromness on the Mainland, the largest island in Orkney, Scotland. 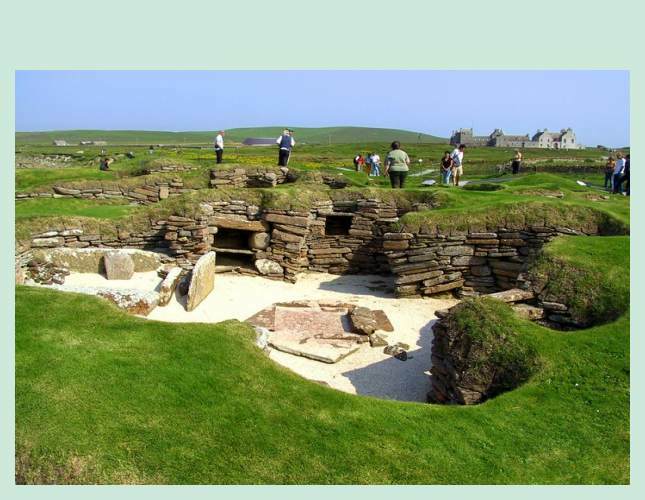 It is part of the UNESCO World Heritage Site known as the Heart of Neolithic Orkney. These 5,000-year-old ruins are of an incredibly well preserved stone settlement containing an intricate maze of dwellings. The site was revealed in 1850 by a violent storm and is now one of the most famous Neolithic sites in Northern Europe. 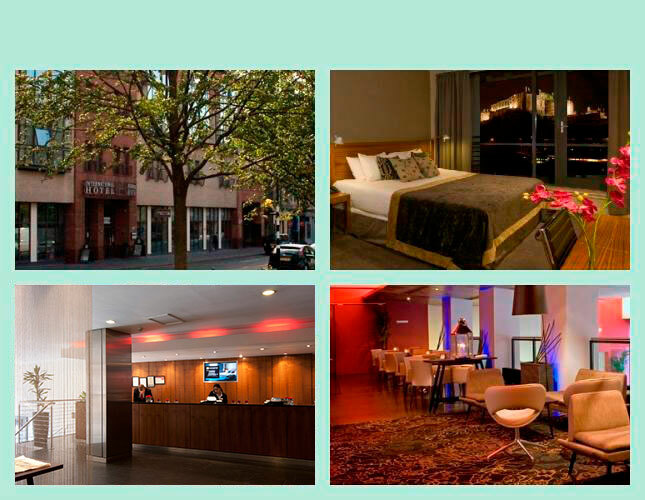 CIE Tours is proud to partner with the 4-star Novotel Glasgow Centre, which is located in the heart of this vibrant city. The family-friendly hotel is set amongst the hustle and bustle of Glasgow, making getting around town easy. Guests can rejuvenate after busy city days in the state-of-the-art fitness centre, or relax completely in the sauna and stream room. All rooms are furnished to a high standard with style and comfort in mind. Guests are invited to dine in the restaurant, which offers internationally-inspired cuisine in luxurious yet laid-back surroundings. The bar is open daily for those looking to unwind with a drink - excellent beers, wines and cocktails are available. The hotel is conveniently located at 181 Pitt Street, G2 4DT, Glasgow, making it the perfect choice for sightseeing and exploring the Victorian port city. This traditional Highland hotel is beautifully located on scenic Loch Alsh, with views of the Isle of Skye and the hills of Wester Ross. 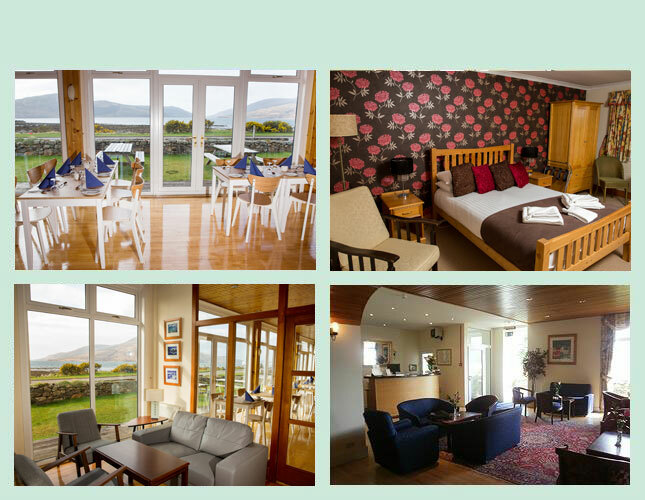 All rooms are tastefully decorated, and many enjoy stunning views. A delicious full English breakfast is served in the 1930s-style coffee lounge. The hotel is close to the Isle of Skye Bridge and Eilean Donan Castle. This property was originally a 19th century coaching inn and has undergone many renovations to create a warm and welcoming oasis of comfort, set in a wonderful scenic area. Enjoy a sumptuous breakfast buffet with a wide range of foods in the stylish restaurant, which is also the setting for dinner with fresh produce and seafood. Relax in the cocktail bar or the Waterfront Bar, which also serves snacks. The hotel offers 55 rooms, half of which boast breathtaking views over Loch Broom and the rugged mountain landscapes beyond. 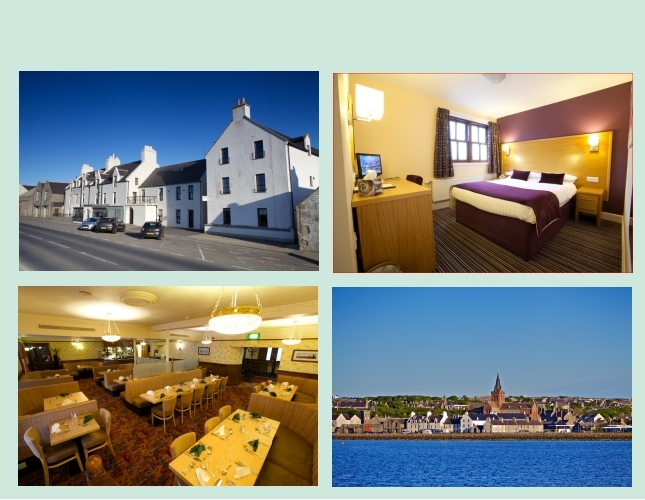 This family-run hotel is in a classic Victorian building on Kirkwall Harbour. Rooms are modern and sophisticated, with flat-screen TVs, free WiFi, tea and coffeemaking equipment, and upscale bedding; many have harbor views. Full Scottish breakfast is included, and there's a restaurant serving locally sourced fare, plus a casual sports bar with a pool table, darts and light menu. Opened in 1881, this grand historic hotel combines contemporary style and amenities with traditional comfort. Each room features excellent modern facilities including movies, music, radio on demand, and free high-speed wireless internet access. There is a traditional roast meal restaurant with a range of hot, cold and grilled options. 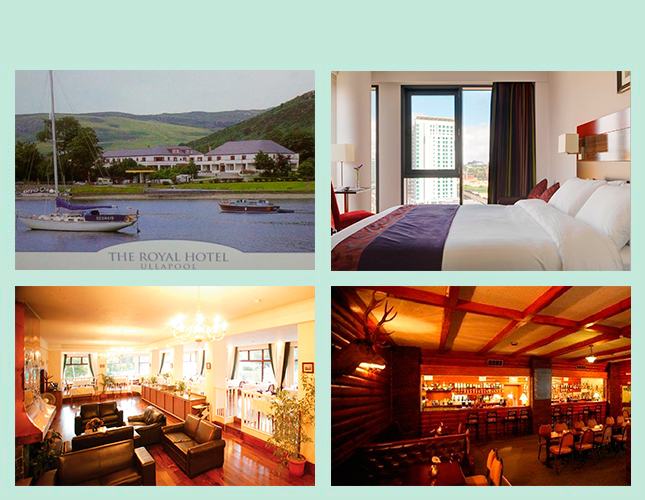 This hotel is in a great location in the heart of Inverness, with splendid views of the Ness River and Inverness Castle. 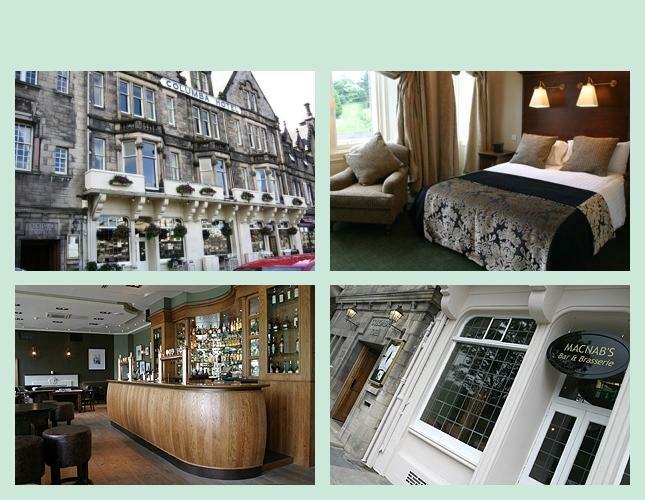 This contemporary hotel is a 7-minute walk from Edinburgh Castle, which can be viewed from some of the guest rooms. Sophisticated yet casual rooms have designer toiletries, free WiFi and 42-inch flat-screen TVs, as well as tea and coffee-making equipment. A brasserie offers breakfast, lunch and evening meals, plus city views, and private dining is available at a rooftop restaurant with castle views. Other amenities include an indoor pool and fitness suite. The Grassmarket hosts an excellent collection of pubs and restaurants of many types. Tour begins 3:00 PM at your Glasgow hotel. Take a tour around the city. Enjoy a welcome drink with your group before dinner. Ferry to the Isle of Bute for stunning island scenery and a guided tour of the 19th-century Mount Stuart House. Spend some time in Rothesay, the main town on the island. Enjoy free time before dinner in your Glasgow hotel. 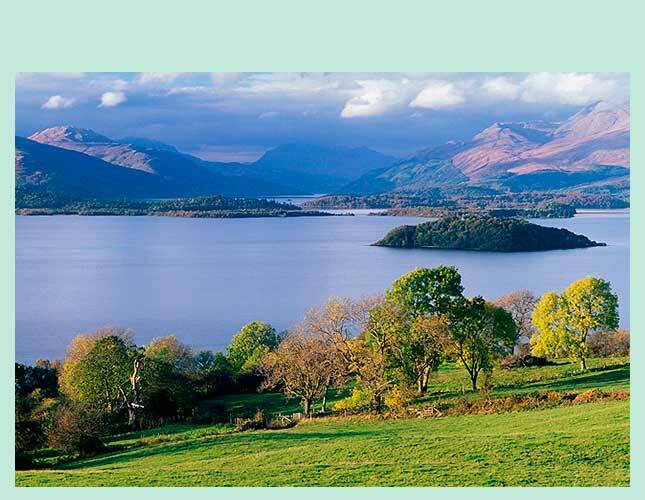 Travel along the famous Loch Lomond, renowned for its unsurpassed beauty. Journey through Glencoe, often considered one of Scotland’s most beautiful regions. Travel through Fort William and stop at a woollen mill for refreshments and shop for Scottish goods. Visit the romantic Eilean Donan Castle before heading to your hotel. Explore the Isle of Skye and its associations with Bonnie Prince Charlie. Tour Dunvegan Castle, the oldest continuously inhabited castle in Scotland and former stronghold of the Chiefs of MacLeod. Enjoy a photo opportunity or two, featuring the spectacular Kilt Rock. 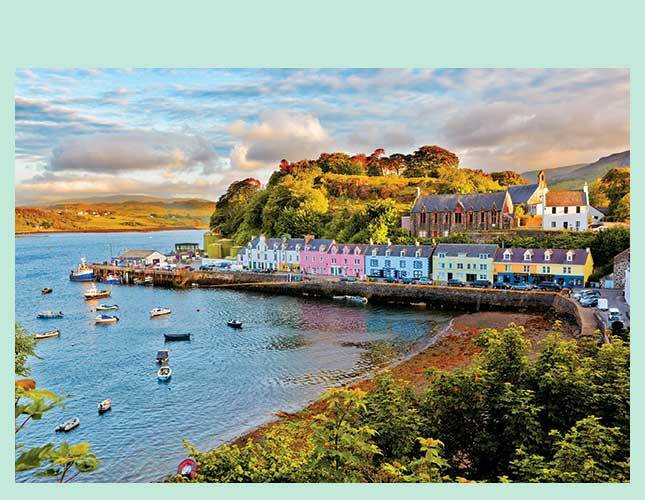 Stop in picturesque Portree with its brightly painted houses clustered around the bay. Enjoy free time before dinner. 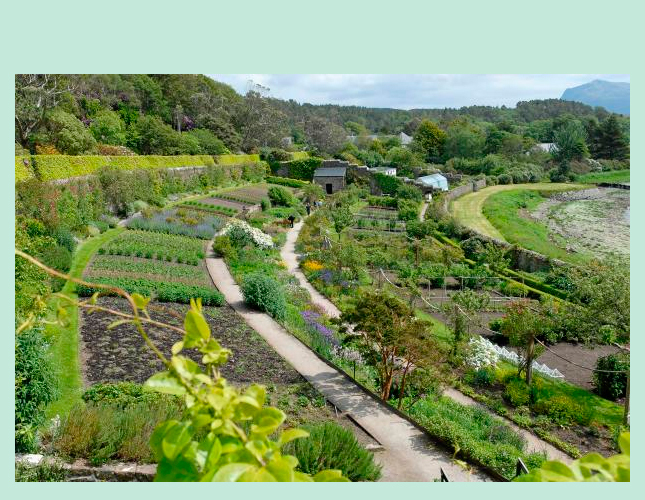 Take in the Highland scenery as you head to Inverewe Gardens, where a haven of tropical trees and shrubs has been created. Continue to Ullapool, an active fi shing and ferry port. Check in to your hotel near the harbor. Admire the rugged mountains, coastline, and vast areas of open land of the sparsely populated northernmost section of the Highlands. Learn about the Highland Clearances, a tragic period of history when many peasants were forced off the land and emigrated to the United States, Australia, and other countries. Take advantage of the many photo opportunities along the way. Continue to Scrabster on the northern coast of Scotland and take a ferry to Orkney, enjoying dinner on board. Discover Orkney, starting with a drive across the Churchill Barriers, created during World War II to deter German submarines. Next, explore the tiny Italian Chapel, with its elaborate paintings. 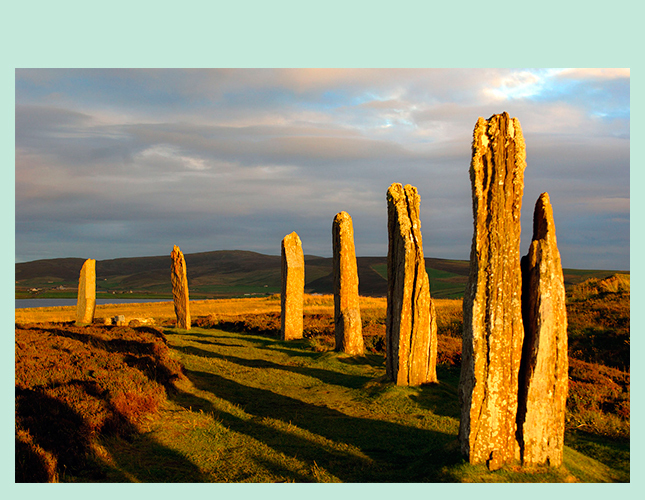 Travel on to the Ring of Brodgar, a Neolithic henge and stone circle that is also a UNESCO World Heritage Site. Visit Skara Brae to see the well-preserved 5,000-year-old village dwellings and return to Kirkwall to see St. Magnus Cathedral. Enjoy free time in the afternoon and evening to browse around the town and dine independently. Board a ferry back to the mainland and head to Dunrobin Castle, dating to 1275 and renovated in the mid-1800s. With 189 rooms, this is the largest castle in northern Scotland. Stop along the way for photo opportunities amidst the scenic hills. Continue south to Inverness, the principal town in the Highlands. 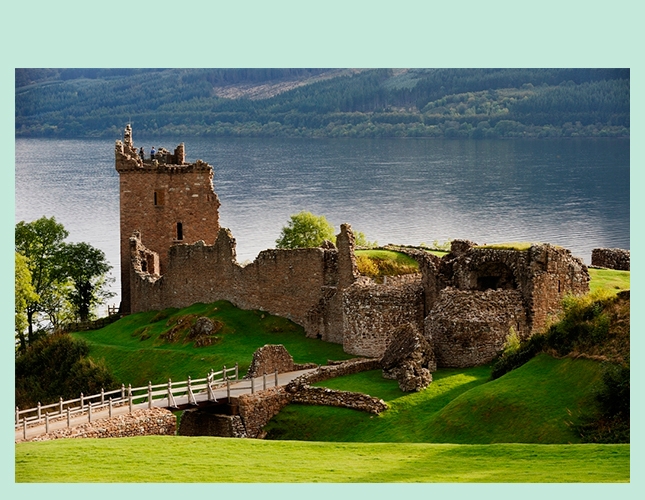 Keep your camera handy as you visit the picturesque ruins of Urquhart Castle and cruise on Loch Ness. Stop at the Culloden Battlefield Visitor Centre to learn about the confl ict that led to the end of the clan system in Scotland. Walk around the moor and see monuments to the various regiments who lost men.Return to Inverness with time to relax, shop, or walk alongside the river. Immerse yourself in farm life and watch as skilled dogs round up sheep. Enjoy lunch on your own in the Victorian town of Pitlochry. Visit Blair Athol Distillery to see how whisky is produced and enjoy a tasting. Enjoy the evening at your leisure in Edinburgh. Discover Edinburgh’s highlights including the wide streets and elegant mansions of the 200-year-old Georgian “New Town” and the Royal Mile, the oldest part of the city. Tour the imposing Edinburgh Castle to see the Stone of Scone and the Scottish Crown Jewels. Enjoy a festive Scottish dinner with lively, traditional entertainment to follow. The July 27 to August 12 departures watch the spectacular Royal Edinburgh Military Tattoo on the Castle Esplanade.